If food is the reflection of our culture, what's your take on this: "an Italian delicacy which originated from China back in time, adapted into a casual Japanese dining concept from Singapore, and recently added Indonesian flavours in its line of mainly Japanese-themed menu"? What a mouthful description! 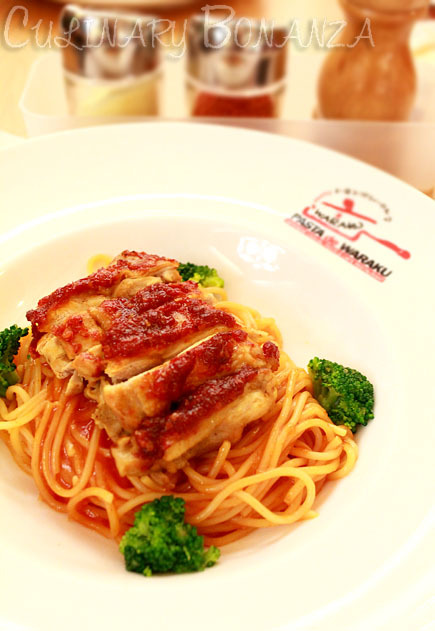 Sorry if I lost you there, but really, there isn't any simpler way to describe Pasta de Waraku. Just for your information, the name, "Waraku" consists of 2 Chinese characters, (wa) for harmony and (raku) for enjoy. 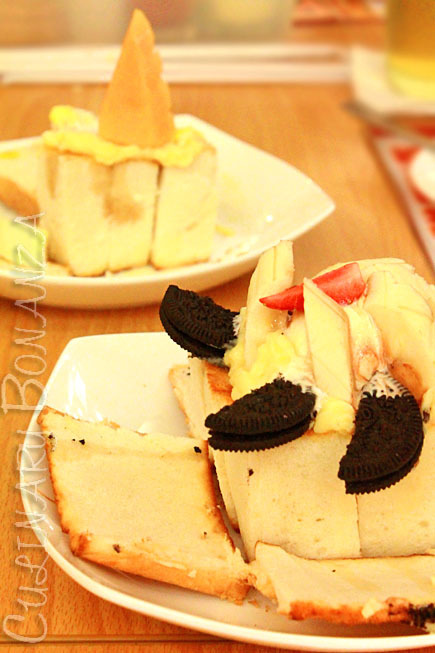 Waraku thus, strives to create an enjoyable experience of dining in harmony. 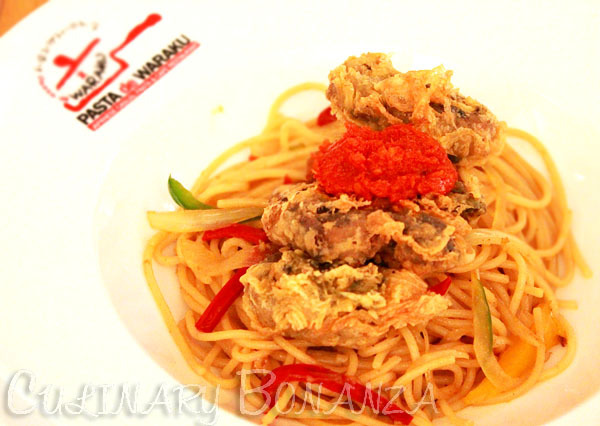 Aglio olio style spaghetti, cooked with Pasta de Waraku's signature wafu sauce, topped with fried oxtail and bell pepper. Quite spicy. 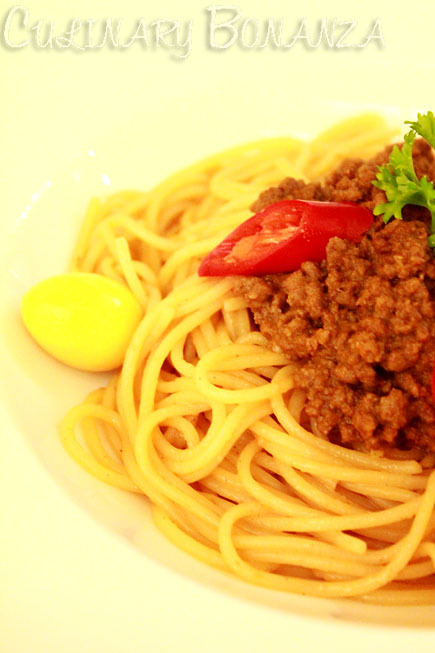 Al dente spaghetti, topped with rendang flavoured minced beef sauce and quail eggs . It's like the savoury version of Bolognaise sauce, mildly spicy. Look at the green and fiery red sambal paste at the side! The aglio olio spaghetti itself is already spicy. So, if you're looking for a merciless spicy kick, this one is for you. 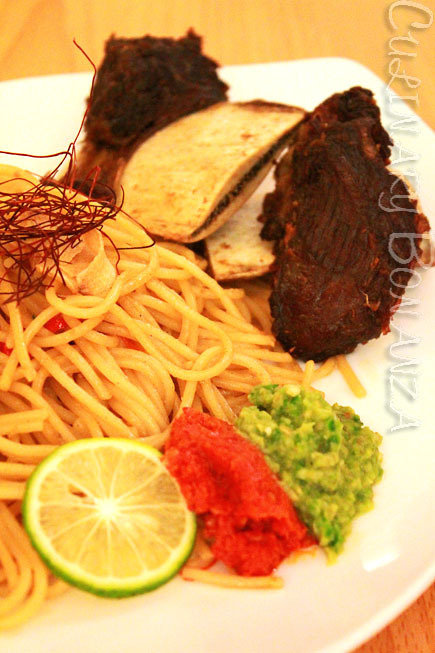 Spaghetti with sweet tomato sauce topped with grilled chicken smeared with sweet chilli paste on top. Quite spicy. 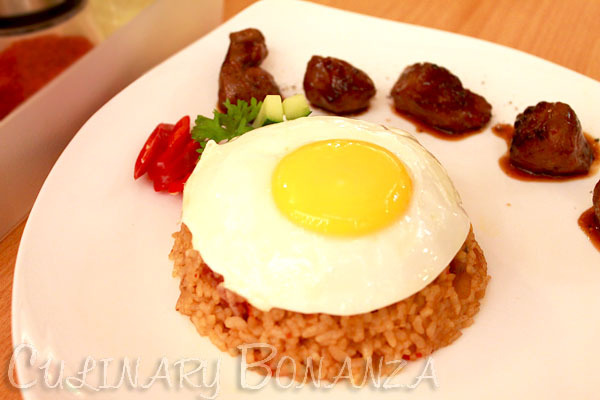 Indonesian style fried rice cooked with salted fish and shrimp paste (belacan), topped with sunny-side up fried egg, with medium-cooked Angus beef cubes in Teriyaki sauce at the sides. Crispy thin crust pizza topped with baked salmon bits in curry sauce sprinkled with chili slices, cucumber & onion. I'd say the salmon bits are quite redundant here, because it is grilled and tasted rather dry, diners might mistaken it for chicken instead. Mildly spicy. 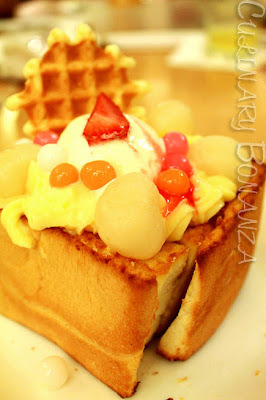 Baby Hanito is single-serving Hanito (honey toast), with various toppings. Very thick toast (about 5cm thick). I'd say the topping could be made more generous.